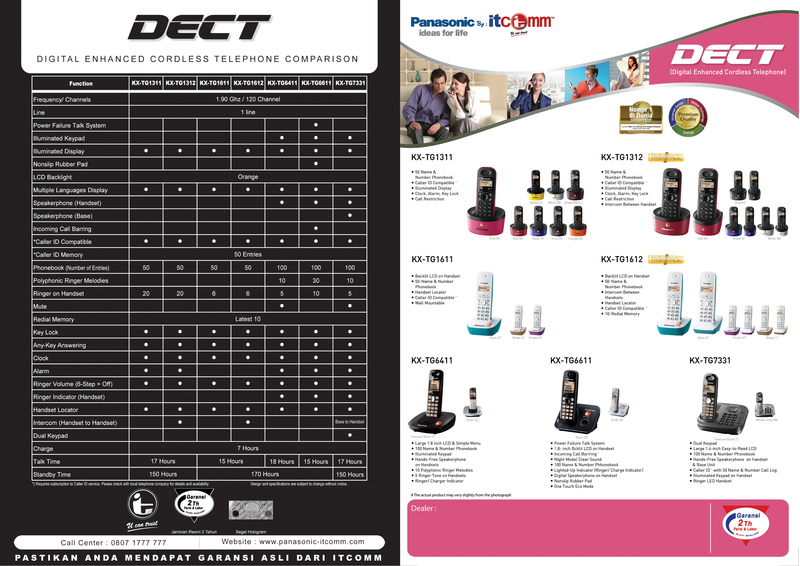 The handset features 1-line dot LCD (12-digit x 1-line dot display) with backlight for easy operation. Thanks to amber-colour backlight, you can confirm the phone number of the caller when there’s an incoming call even at night. The textured finish was created to blend in with modern and elegant rooms. It is coated to resist fingerprints smudges in order to maintain the luster. 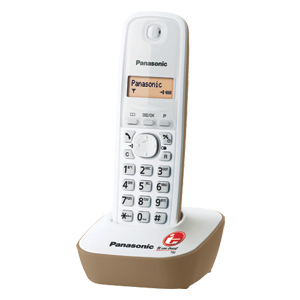 Thanks to Caller ID*2 capability, you’ll be able to see the phone number of an incoming call on the LCD. If the caller is registered in the phonebook, their name will be displayed. You can store up to 50 names and numbers in the handset’s built-in memory for quick and easy access. A compact base unit lets you place it just about anywhere. And thanks to its wall-mountable design, the base unit can also be installed on the wall for added convenience.